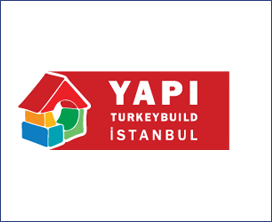 Yapi - Turkeybuild Istanbul is international building materials and technologies exhibition, that provides world standard services, by courtesy of its exhibition areas, its products and services, and its domestic and foreign exhibitors, all of which expand, grow and increase year by year since 1978. Yapi - Turkeybuild Istanbul covers 100,000 sqm indoor and Outdoor Exhibition Area. It is dubbed the biggest inter-regional building gathering that spans Turkey, Balkans, former CIS countries, North Africa and Middle East.